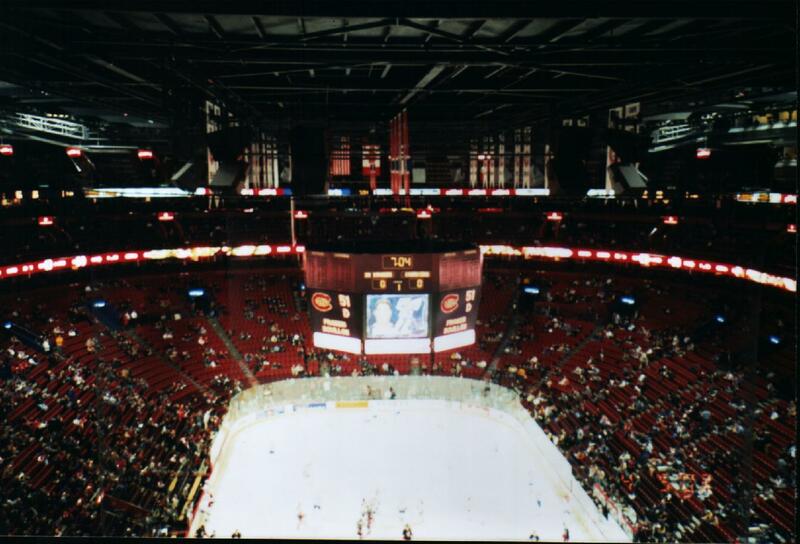 A lot has changed since my 2003 visit to Montreal…namely a camera that does not use film! A three-year renovation transformed the Garden with a lot of changes. Concourses are wider, while the seating bowl is unfortunately more a standard arena set-up. I’ll have to see if the atmosphere has changed for myself. I’m struggling on whether this qualifies as a new stadium altogether as opposed to a renovated one. Former Lackawanna County Stadium closed for a year and essentially was re-built. The team went through a new branding as well. I’m leaning towards making this a new stadium, but we’ll put that decision off until later. This is the highest rated minor-league ballpark out of the 48 that I have been to and I think the fan support/atmosphere has a lot to do with that. While the Cyclones are still a huge draw, I’m curious if the game atmosphere is what I thought it was ten years ago, when I quite early and green in my travels. Regardless, still a great ballpark, just a pain to get to. Another one with a re-evaluation of the atmosphere, but I mainly want to go back because it was a snowstorm during my visit way back in 2002. I didn’t get a chance to see much of the exterior and we were relatively late so there was not much time to roam the Reilly Center.